I don’t know which is more exciting. And I’m going to Haiti. Seriously: explosion of confetti and excitement and exclamation points right →here←. 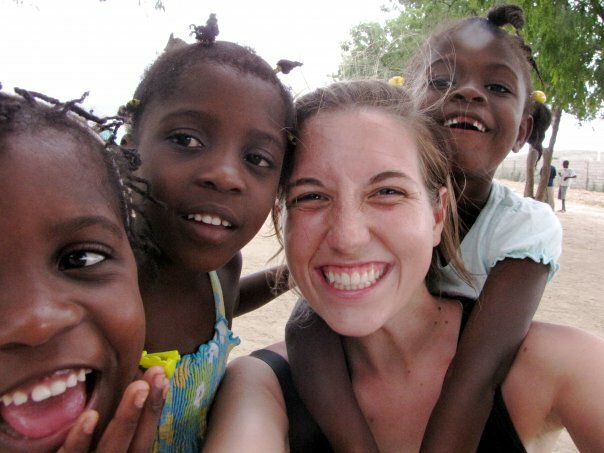 Ever since my sister Sarah moved to Haiti last June, I have dreamed of an opportunity to see her life there. One month from tomorrow, I’m getting my chance – seven days and seven nights at Mission of Hope. What happens at Mission of Hope, you ask? Well, they have a school, and a home for orphans, and a medical clinic, and a nutrition program. They also have a new small business initiative called 3 Cords, which employs amputee women, empowering them to make hand-crafts, cards, and jewelry. I’ll probably get to experience a little bit of each of these things. I’ll also probably experience tarantulas and dirty feet and mangoes and a little boy named Tee Kervins. I can’t wait to meet Tee Kervins, just so I can say his name. Of course, I’m a bit nervous about being taken out of my comfort zone, even for a short time. I’m someone who likes control and safety and rat-free apartments. And when I’m honest, sometimes it feels easier to just go about my daily business, blind to the pain and sadness and poverty that might be found elsewhere. But I believe that it’s important – important, and even necessary – to be inconvenienced. And I also believe that when I am in Haiti, I will find more joy than sadness, more strength than fear, and more hope than despair. It just might change my life. So, back to these new songs of mine. I recorded three new demos with some co-workers when I was in Nashville in December, and even from just a little home studio, I’d say they turned out gems. I would love for you to hear them – and if you feel so inclined, they’re available for a minimum $10 donation. The money will help offset the cost of this trip to Haiti – because go figure, it costs a lot to get to the poorest country in the Western hemisphere. Thanks, as always, for reading, and listening, and following along with this little life of mine. I can’t wait to tell you stories from my trip. This excites me greatly! Although I might be slightly disappointed that I will miss you at MOH by like 4 days… Enjoy your time there visiting with Sarah! 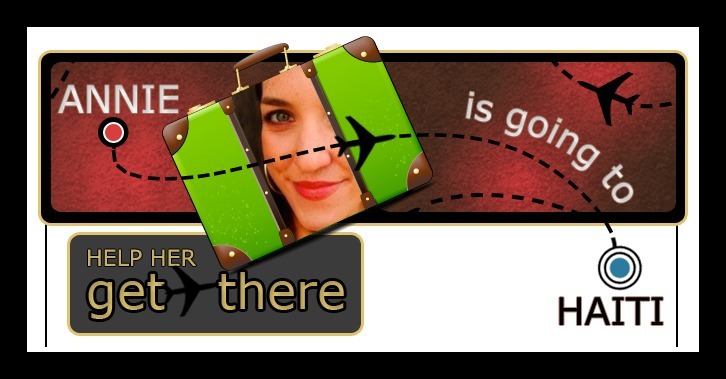 Hi Annie – Feel free to check with my husband on airfare to Haiti (if you haven’t purchased your tickets yet). His company has contracts with airlines to provide discounted airfare on humanitarian-, missions- and student-related trips. He’s at anthony@afctravel.com. I knew there would be new songs,hooray. I’m so excited for you and Haiti! My brother is currently in Haiti for his work and it sounds beautiful, and heart-filling and amazing. Looking forward to glimpses of your journey. I’m so excited for you, lovey! Cannot wait for you to regale us with stories of love, humor, and hope. Annie! Im so excited for you! I went to Haiti in 2008 and it was a transformative experience. Nothing like seeing the happiest people on earth who own next to nothing to make you count your blessings and take stock. It is a beautiful country that I think youll love. ENJOY! Let me know if you have a layover at ATL on your way to or back from Haiti. Apparently a lot of flights to Haiti route through Atlanta. Can’t wait to get home from work later and do some mad donatin’ and downloadin’. Oh my goodness! That’s so exciting! I love the new songs as well, will be downloading them soon. Godspeed, AP! Oh i like this. The Hoot takes a look at the developing world. I can’t wait to hear you quip about funky transport systems and crazy new foods and exciting new friends and all of it. I am STAYING TUNED.